We are very pleased to have successfully concluded the sale of the Contest 40S ‘SIARA’ today. The Contest 40S marked a step towards performance cruising from the earlier Contest designs. Designed to maximise her hull speed while being predictable and easy for the crew to handle under sail with comfortable accommodation below decks. A lower in the water and finer hull shape set the future look of Contest designs for the coming decades. Still with her original owner. SIARA was commissioned to his own, blue water specification with additions to the standard specification; specifically to enhance life aboard while on passage. Since her launch SIARA has completed several transatlantic passages. Cruised the Caribbean and eastern seaboard of America extensively. Before in recent years exploring the waters closer to home, with a brief visit north to Iceland. Professionally maintained and upgraded throughout her life. 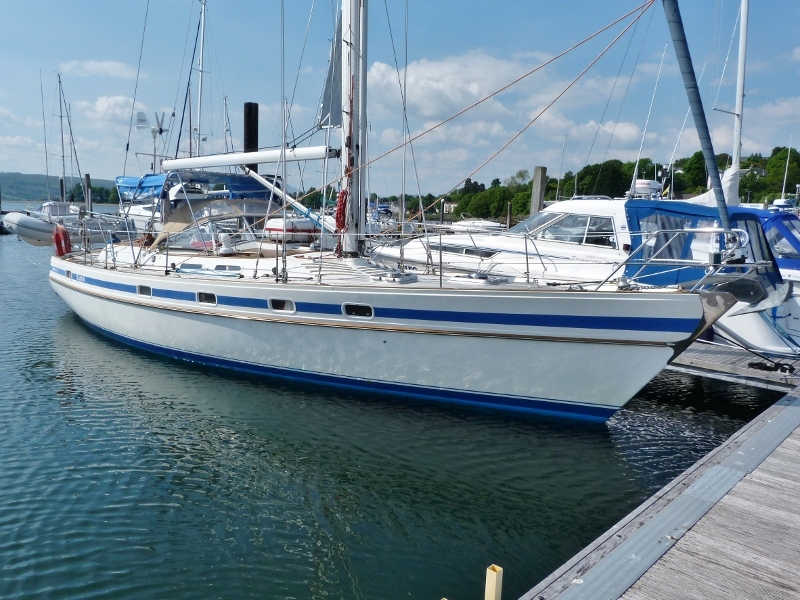 She is well presented with a good inventory, including recently fitted Raymarine plotter, recent standing rigging and a comprehensive sail wardrobe. She will be launched in the spring from her winter storage at Silvers Marine. Spending the 2019 season cruising and exploring home waters with her new owners before heading south to warmer climes in 2019.